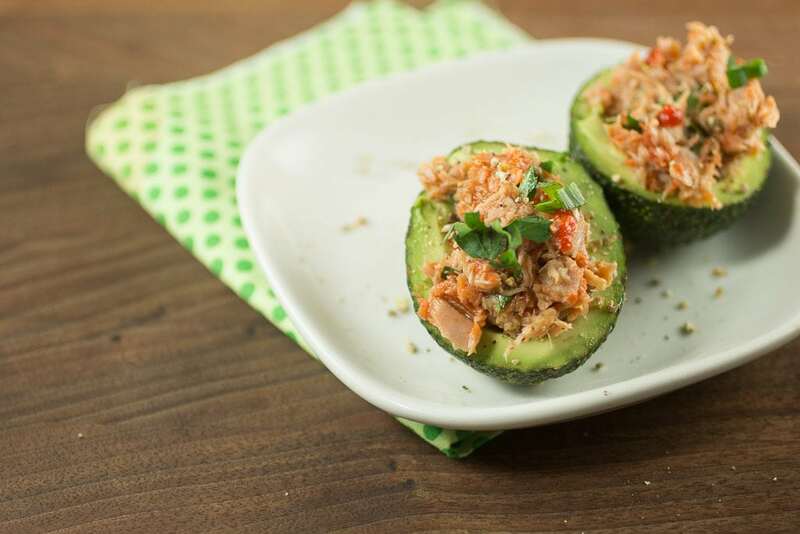 These salmon stuffed avocados are exactly what you need at your next get-together. Whether you’re having friends over for dinner, hosting a Superbowl party, or maybe you just need a quick snack for yourself…these avocados are a crowd pleaser. A few tips for this recipe – if you’re making them in advance for a party or gathering, be sure to make the filling on its own. Then you can cut open the avocados and scoop in the salmon right before you need to serve them. Also, be sure to grab mini avocados from the store. The small size of mini avocados are better for this recipe versus the bigger ones. Feel free to play around with what veggies you add into the salmon stuffing. Some finely chopped celery or your favorite herbs might also make delicious combinations. 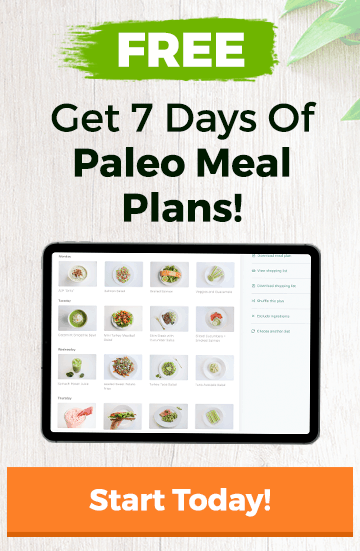 Hope you enjoy this savory appetizer! Mini avocados make perfect appetizers or snacks when stuffed with savory ingredients like salmon and veggies. If you’re serving these at a party or gathering, make the filling ahead of time and fill the avocados when ready to serve. Combine the salmon, onion, pimentos, olive oil, parsley, and lemon juice in a small bowl. Mix well. When ready to serve, cut the avocados in half and remove the pit. 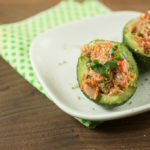 Fill the avocado halves with the salmon mixture right before serving. What size can of salmon, please? 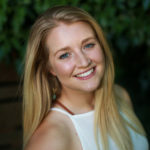 Hi Jo! This should be a 6 oz can of salmon. Thanks for pointing that out – I just updated the recipe. Hope you enjoy!